I wish you all the best for the First World Conference on Patterns and Pattern Languages. 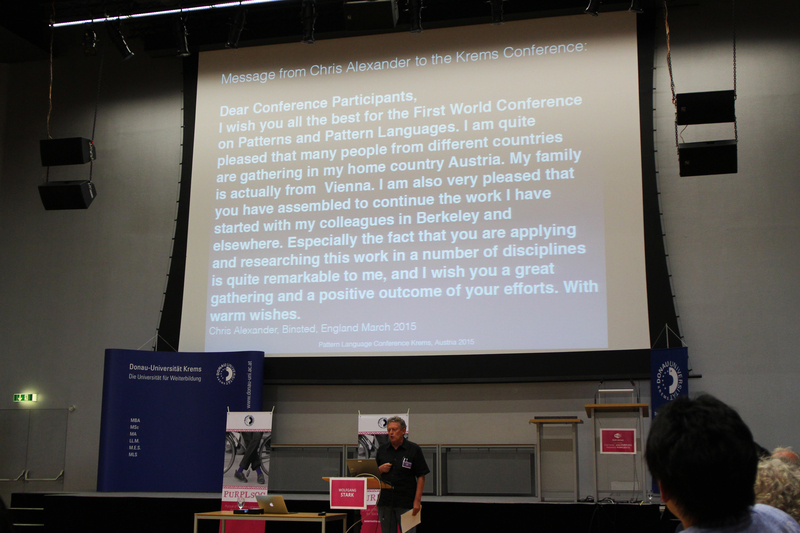 I am quite pleased that many people from different countries are gathering in my home country Austria. My family is actually from Vienna. I am also very pleased that you have assembled to continue the work I have started with my colleagues in Berkeley and elsewhere. Especially the fact that you are applying and researching this work in a number of disciplines is quite remarkable to me, and I wish you a great gathering and a positive outcome of your efforts. With warm wishes.